Get ready for a mouth-watering sour flavor when you bite into a sour grape snow cone from Hawaiian Shaved Ice! It is the delicious grape flavor that you love, with a great sour twist! This sour-infused grape flavor is perfect for hot summer days when you want a tasty refreshment. Kids love the sour taste as well as the realistic grape flavor, so it will be perfect to have at the next pool party or just to have as a snack with the family! Grab a gallon of sour grape snow cone syrup and the whole crowd can enjoy this extremely tart flavor! 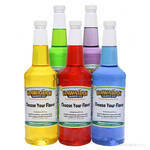 The next time you gather your friends together, enjoy the party with sour grape sno cones. You can find this flavor in the quart sizes as well, for your convenience. 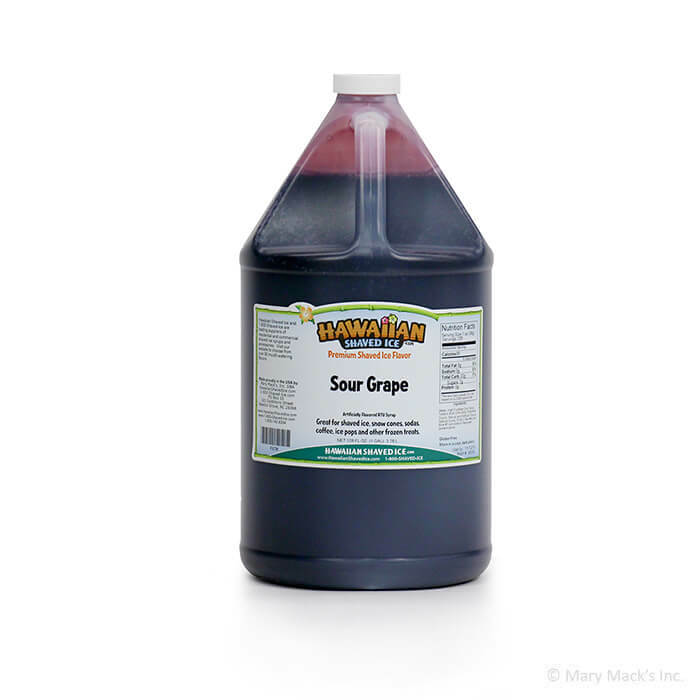 To enjoy sour grape with other favorite Hawaiian Shaved Ice flavors, you can also purchase this flavor in our assorted packages!